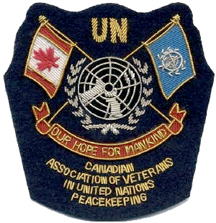 On behalf of all our members, welcome to the Dartmouth/Halifax Chapter of the Canadian Association of Veterans in United Nations Peacekeeping (CAVUNP). We wish to inform all individuals and organizations of our goals and of our willingness to work side-by-side with others to promote our values. We are stepping into the future with twenty four members and striving to increase our membership of interested and like minded individuals whenever possible.All who visit our site are encouraged to enjoy the links to our National site as well as our affiliated chapters and associations. All Chapter members are encouraged to come out, support and get involved in Chapter activities and initiatives. We are truly grateful to the Royal Canadian Legion, Centennial Branch # 160 for providing our association with a place to meet and hold our general meetings while proudly displaying our Charter. Chapter members are encouraged to take time to reflect upon our comrades who cannot be with us today because of their selfless sacrifice in the pursuit of bringing peace to the world. Those who have paid the ultimate price in the interest of our Nations values, are deserving of both our acknowledgement and respect. This Chapter had its beginning back in November 2002, with discussions undertaken to formulate a CAVUNP chapter here in the Halifax Regional Municipality (HRM). The first meeting consisted of nine or ten men which was chaired by Terry Hutchinson. Discussions were concentrated on topics such as eligibility criteria for membership, suitable attire, and how best to emulate the traditions and values of the CAVUNP in a local Chapter. In consultation with the National Board and Regional Directors of CAVUNP this small group of men in HRM formulated the initial draft of our Chapter Constitution and By-Laws documents for review and acceptance by the National Board. After the National Board`s review and approval the Dartmouth/Halifax Chapter was recognized as the official CAVUNP Chapter within the HRM. The CAVUNP Dartmouth/Halifax Chapter membership extends their thanks to this small group of men who persevered to establish this CAVUNP Chapter, so that our membership could congregate to pay our respects to those that go before us. Particular thanks and acknowledgement to Comrade Terry Hutchinson for his insight, professionalism and initiative in recognizing the need and working through the challenges necessary to formulate the CAVUNP Dartmouth/Halifax Chapter as we know it today. At this time I would like to extend my sincere appreciation and gratitude to all members of our Chapter for their continuous effort to improve upon our objectives and goals. I also wish to thank the local Royal Canadian Legion, Centennial Branch # 160 for allowing our membership the opportunity to hang our charter in their Branch Hall with pride. If there is anyone who has had the opportunity to serve in a UN mission or activity and is interested in our association, please contact myself or our membership chairman through the e-mail links provided. We will make every effort to answer all of your questions and assist you in any way we can. To Constitute an Association for Canadians who served on UN Missions throughout the world. To perpetuate the memories and deeds of our fallen comrades who lost their lives in defense of freedom. To cooperate with other Veteran Organizations having comparable aims and objectives. To foster unity and comradeship among our Members. 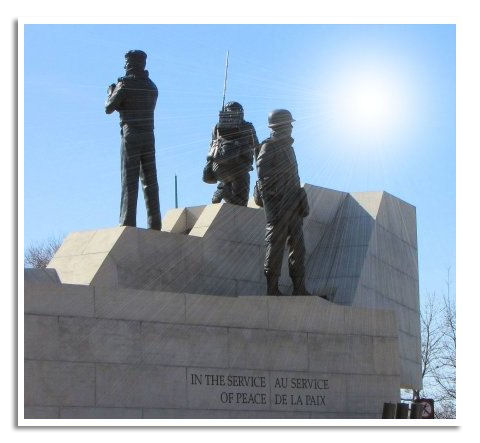 To foster the education of Canadians on Canada's participation in UN Peacekeeping Missions. To encourage, promote and support National, Provincial and Community services for charitable purposes. The CAVUNP is a non-political and non-sectarian association.